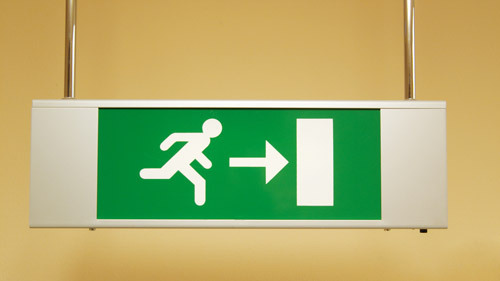 Where Are the Departing UBS Reps Going? The firm is shedding advisors, who are moving on to a variety of rivals and going independent. The UBS advisor force has been shrinking. UBS (UBS) reported its second-quarter results on Monday, which included the news that its headcount in the Americas is down by 34 and remains under 7,000. The group has 6,948 advisors as of June 30 vs. 6,982 on March 31 and 7,119 a year ago. The firm says it is pushing out lower-performing reps.
“We are continuing our strategy to be disciplined in our recruiting, selectively hiring advisors in the top two quintiles and help advisors in the lowest two quintiles transition out of the firm,” it said in its quarterly report. Still, the Swiss-based wirehouse says that the lower-performing reps are not the only ones leaving: “Approximately 60% of our quarter leavers were in the bottom two quintiles,” it explained. That, of course, means some 40% of exiting reps were in the top three quintiles. On Tuesday, Bank of America Merrill Lynch (BAC) said it has just recruited ex-UBS rep David Munoz in White Plains, New York. The advisor has about $2 million in yearly fees and commissions. “Joining Merrill Lynch means working with a firm truly committed to serving clients’ complete financial needs through superior investment and banking capabilities,” said Munoz in a statement. Davis joined UBS in 2008 from Sanford Bernstein, where he started his career in 1996. He now reports to Matt Grossman, managing director for the Merrill Lynch White Plains-Greenwich Market. “We joined Merrill Lynch because of the outstanding platform, supportive management, and their long-term investment in technology, which will lead to a superior client experience,” said Leven, in a statement. In mid-July, Merrill said it recruited an ex-UBS team that includes reps Anthony Chevalier and Vance Whitby in Denver. The team has produced yearly revenue of more than $1.5 million and advised clients with assets of $193 million. In mid-July, HighTower said former UBS advisor Michelle Murray had mover her team, which manages $200 million in assets, to the partnership. “Michelle’s expertise, professionalism and dedication to her clients make her a natural fit for HighTower,” said Michael Parker, national director of Enterprise Development at HighTower, in a statement. “She joins an exclusive group of advisors that includes some of the most accomplished women in the financial services profession.” Murray began her career in financial services in 1989 with Shearson Lehman/Smith Barney, moving to UBS in 2004. In mid-July, Raymond James’ (RJF) employee channel said Alex Bryan, Ryan Bartley and Robert Torney moved to the firm from UBS with about $300 million in assets and fees & commissions of $2.2 million. Furthemore, Ameriprise Financial (AMP) says it added an advisor from UBS who has about $34 million in client assets. Yearly revenue (or fees and commissions) per UBS advisor stood at $1.12 million in the second quarter, up 3% from the first quarter and 5% from a year ago. Earlier this month, Merrill Lynch said it 16,419 reps have average production of $1.04 million as of June 30, while Morgan Stanley announced that its 15,916 FAs’ yearly fees & commissions are $978,000. — Check out UBS Americas Cites Higher Regulatory Costs for Q2 Wealth Profit Drop on ThinkAdvisor.